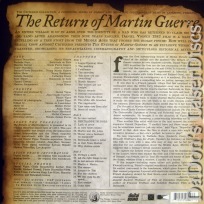 The Return of Martin Guerre 1982 - 123 min. 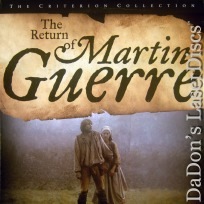 - Color Genre: Drama Not Rated Country: USA LaserDisc Movie Storyline: Based on a true story from 16th century France, "The Return of Martin Guerre" tells the tale of a man who, after a pre-arranged marriage, abandons his family -- but then, following an 8-year absence, suddenly returns to the his native village. However, Martin's personality has mysteriously changed; where once he neglected and abused his wife, Bertrande, he now acts lovingly and gently toward her. This startling transformation leads some of Martin's relatives to suspect the man of being an impostor. Bertrande insists otherwise, despite mounting evidence against her "husband". Soon the villagers have dragged Martin and Bertrande to court in order to uncover the truth. 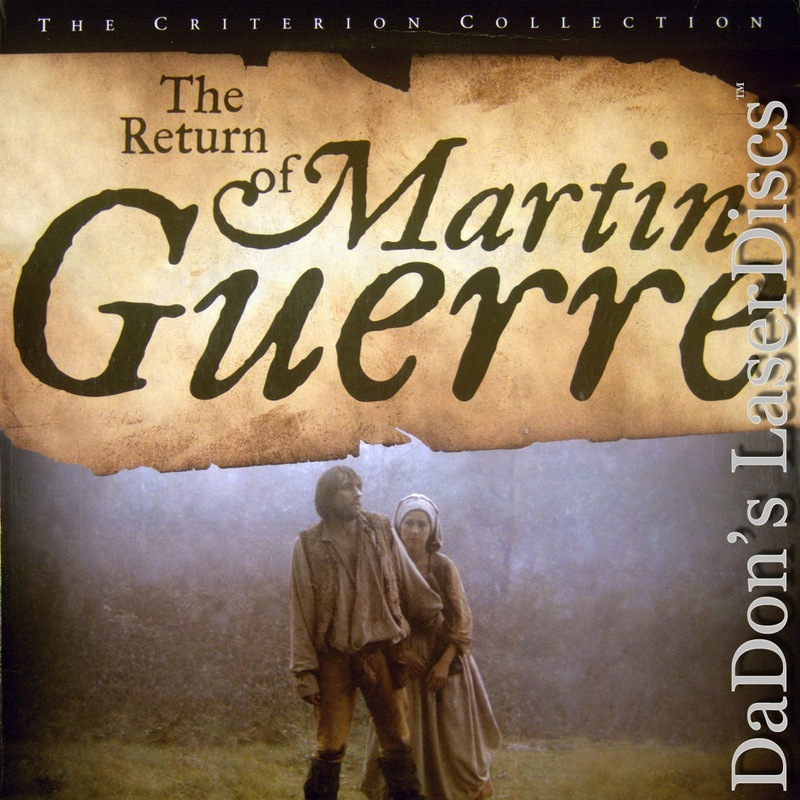 LaserDisc Movie Review: The Return of Martin Guerre is set in France during the Hundred Years' War. Imagining herself a widow, Nathalie Baye is astonished when her husband Gerard Depardieu returns after nine years. He looks like her husband and sounds like her husband, and certainly has a working knowledge of the couple's prior relationship. Still, neither Baye nor her neighbors can shake the notion that Depardieu is an imposter---especially since he's a much nicer and more responsible person than the man who marched off to war so long ago. Matters come to a head when the local magistrate sentences Depardieu to hang for his own murder. 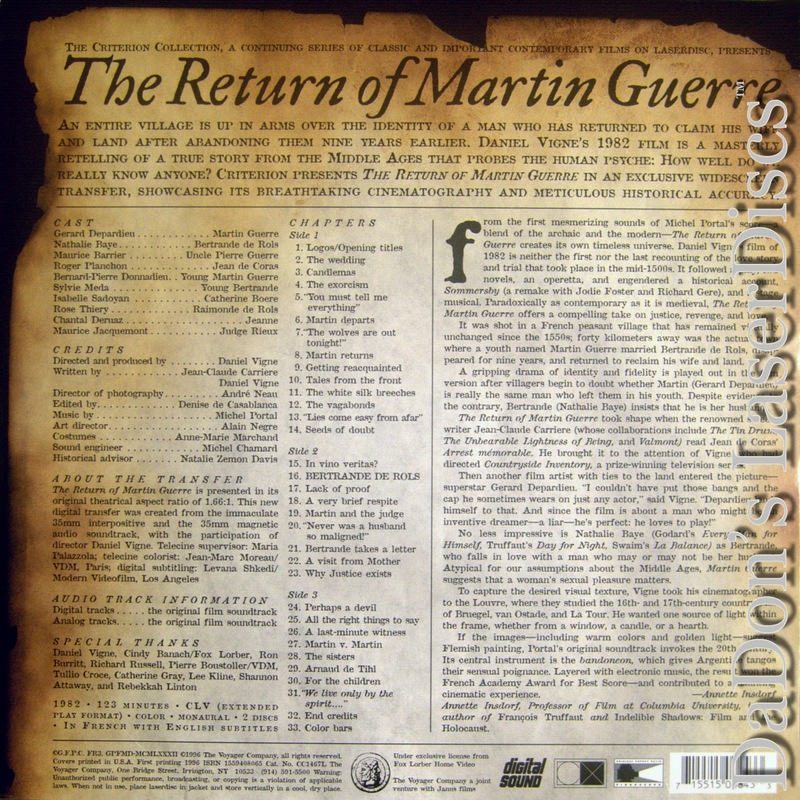 Return of Martin Guerre was the principal source for an American film, Sommersby (1993). --- Hal Erickson Daniel Vigne's Le Retour de Martin Guerre is a beguiling mystery of identity, memory, perception, and how the passage of time can blur all three. The key to its intrigue is the performance of Gerard Depardieu, whose alternately familiar and remote Martin keeps the audience flip flopping about whether to believe his story or distrust it. His character is occasionally greedy and shifty-eyed, which to some is evidence of his status as an impostor --- to others, these are traits displayed in spades by Martin before he left, and they aren't present enough for this to be the man himself. A slow beginning is quickly redeemed by the contentious debate that dominates the film, which produces mounting evidence on either side that this either must be or must not be Martin Guerre. Complicating matters are the repercussions on Martin's wife, played with long-suffering patience by Nathalie Baye, who, according to 16th century religious custom, would be damned to Hell if she had been mistakenly sleeping with a man other than her husband for years. The deliberations of the magistrates charged with settling the case are also fascinating. In keeping with Vigne's reputation as a perfectionist, the era is painstakingly re-created, and shot with style and beauty. The film also marks the screen debut of prominent French character actor Tcheky Karyo. --- Derek Armstrong Thanks for Visiting DaDon's Rare LaserDiscs ! Reviews, Articles, Newsletter and Information for Movies on LaserDisc LD Laser Disc, LazerDisc.